The Philippines wants to position itself as an inexpensive medical tourism destination and has set the income target from this sector to $2 billion by 2015, according to the public-private association Philippine Medical Tourism Programme (PMTP), a joint effort of the country’s Department of Tourism and Department of Health. However, Tourism Secretary Ramon Jimenez said that the programme still has to identify what medical services could be offered in the country. Jimenez noted that based on studies, there is tremendous demand in the areas of orthodontics or dentistry, cancer and retirement care, as well as in cosmetic surgery. “Opportunities would be in personalised molecular medicine, otherwise known as stem cell research, as well as orthodontic, cardiac and orthopedic care. Some of the best bone doctors in the world are Filipinos,” Jimenez said in a recent interview on tourism development with Inside Investor. “The Philippines has been gaining ground as a healthcare travel destination of choice for tourists seeking better, affordable, and alternative medical care. The Philippines has become an idyllic setting for relaxation, healing, and recovery,” he added. But even though the country has a large pool of medical professionals, it does not have appropriate medical tourism destinations yet and lacks touristic infrastructure. Overall, there are more than two thousand hospitals in the Philippines and many specialist clinics. There are almost 100,000 hospital beds in private institutions located in Manila and also some of the more popular tourist areas, especially Davao and Luzon. The facilities in the top private hospitals are on a par with US hospitals and the staff is highly skilled, which has attracted a majority of health tourists from the US in the past. Medical services, in average, are around 75 per cent cheaper in the Philippines than in the US and Europe. For example, spine, neurology and cosmetic surgery are available at a fraction of the cost of that in the US. A facelift, costing anywhere between $10,000 and $30,000 in the US, typically costs approximately $1,000 to $4,000 in the Philippines. Laminoplasty (relieving pressure on the spine caused by stenosis) can run to a whopping $122,000 in the US, while the same procedures runs to around $9,000 in the Philippines, which is, actually, a saving of more than 90 per cent. Targeted source countries and regions for Philippines health tourists are the US, Australia, Japan, South Korea, Taiwan and Micronesia. A study by international research firm Deloitte has identified the Philippines as one of the emerging players in the multi-billion-dollar health industry, which is currently dominated in Asia by Thailand, Singapore, India and Malaysia. 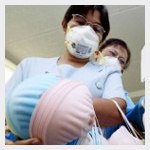 However, the Philippines will have a hard time to counter Thailand in health tourism. The Kingdom receives 40 per cent of the tourists seeking medical treatment in Asia, according to data from Thailand’s Board of Investment. The country’s revenue from the sector stood at $3.5 billion in 2012, serving over 1 million patients, while the Philippines just had one fifth of this number. And medical costs in Thailand, including domestically produced generic pharmaceuticals, are similarly inexpensive while there are more incentives for healthcare institutions to provide high-quality services and the sector is very well organised with regards to marketing and related services such as travel and visa arrangements etc. India has emerged as a major international hub of medical tourism care. India is surely world’s most economical and finest medical tourism care destination. US, Canada, UK, Middle East and African countries are already very familiar with highly skilled Indian doctors and nurses and many of these doctors had returned to India to strengthen India’s medical travel tourism wave. India has 11 JCI accredited hospitals. Most estimates show treatment costs in India start at around a tenth of the price of comparable treatment in USA or UK. As example, a bone marrow transplant that costs about US$ 200,000 in USA or UK costs only US$ 25,000 in India. A heart bypass surgery costs US$ 25-35,000 in USA or UK costs only US$ 6,000 in India. A Knee Joint Replacement in India costs about US$ 5,000 while in the USA or UK it would cost between US$ 15,000 to 25,000. Indian-medicalcare.com is an web portal dedicated to reach out to the medical attention seekers across the globe in order to guide them with honest and best possible advises and to get them connected with India’s finest health care service providers. The medical tourism seekers in India must get in touch with the hospitals directly and should avoid the agents. Guests are also welcome to contact Indian-medicalcare.com for non-bias guidance.